Praying 10 Minutes a Day - after Easter! 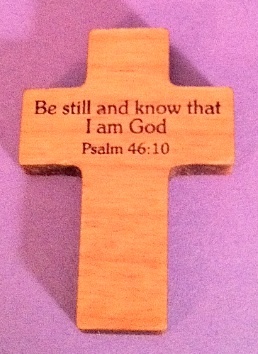 For Lent this year, I offered a daily post titled Praying for 10 Minutes a Day. I received a good deal of positive feedback on this series and a number of people have asked if I might keep it alive. I don't have the time to commit for posts as lengthy as my Lenten offerings but I'm going to resume writing daily prayer reminders in a simpler format. I'm grateful for the requests because this is part of my own prayer life, too! If this proves to be helpful for your prayer, please let me know. Below you'll find my introduction to the Lenten series which might be helpful for those picking this up again or for those just beginning to pray in this way. I have my radio on each morning as I shave and shower and dress. I've noticed that the time it takes me to get ready each day depends on whether I'm listening to talk radio or classical music. Although I do the same things each morning and never actually stop and stand still to listen, it takes me longer to get ready with talk radio than it does with music. And if I'm really in a hurry, hitting OFF on the remote can trim 5-7 minutes off my time! Background sounds can so easily distract and slow us down, imperceptibly pulling us away from what we're doing or want to do. Sounds can confuse and distract, silence can focus and clarify. What sounds in my life distract and slow me down, making my focus fuzzy and my attention weak? Does ambient noise distract me spiritually as well as physically? Sometimes we say aloud or sing our prayer but there's a kind of prayer that happens only in the silence. Sure, I sometimes pray on the run and in my car, but there's nothing like slowing down, easing into the silence, to help me find and know the presence of God. at hand, by my side, in my heart..
What would be the best time of day for me to spend these 10 minutes? What would be the best place for me to find some peace and quiet? How might I spend these 10 minutes? How will I end my 10 minutes? I am grateful for the post on praying for 10 minutes a day. I am a pastoral associate in a parish and I looked for them each day during Lent to start my day. I will love reading them during the Easter time.